Last year, Los Angeles Mayor Eric Garcetti established a Seismic Safety Task Force, chaired by his Science Advisor for Seismic Safety, Dr. Lucy Jones, and gave the group a year to create a plan to tackle the city's most important earthquake threats. Published this week, the Task Force's report "Resilience by Design" promises to set in motion a program of activities as momentous as anything in state history. 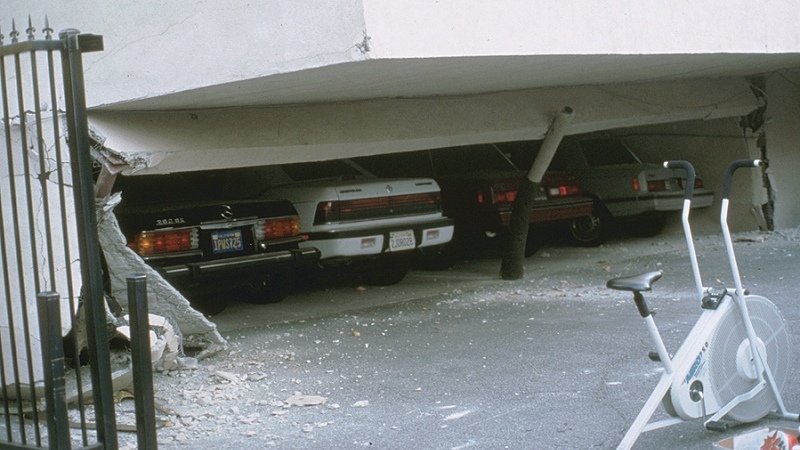 The task force started with the ShakeOut earthquake scenario, a scientific model that calculates as closely as possible what an earthquake the size of the one that struck San Francisco in 1906—a magnitude 7.8 event—would do if it hit Southern California today. There would be about 1800 deaths, which is a very small number compared to the 88,000 who died in 2008 in Chengdu, China (M 7.9) or the 200,000-plus in Haiti in 2010 (M 7.0). Good building codes have reduced the risk to lives in California. But the report also measures catastrophe in dollars and jobs and economic destruction: "$213 billion of economic losses across Southern California, consisting of: $47.7 billion due to shaking damage; $65 billion due to fire damage; $96.2 billion due to business interruption costs; and $4.3 billion due to traffic delays." The task force's major recommendations aim at the city's weakest weak points: water, communications and buildings. WATER: The report estimates that 1600 fires would start after its scenario earthquake. The aqueducts that carry water to Los Angeles cross the San Andreas fault in no less than 32 places. Getting them flowing again would take at least a year. Naturally the report recommends fortifying them all. And backup water sources, ranging from recycling and rainwater capture to refurbishing the San Fernando Valley's groundwater basin, have valuable parts to play. Because firefighting doesn't need drinking-quality water, alternative supplies for that purpose can help spare the best water for other purposes, like drinking and making a living. COMMUNICATIONS: Our lives rely on television, radio, phones, data connections. The electric power grid also crosses the San Andreas (as do the gas lines that support generators), and it's run by a crazy-quilt of agencies. The report recommends that the city join those agencies in a consortium to work out plans in advance for broken power lines and cascading failures across the grid. Cellular towers need to be fortified as opportunities come up. And as a backup to everything, there should be a citywide, solar-powered Wi-Fi system (which would piggyback on the upcoming Los Angeles Community Broadbank Network). BUILDINGS: Because "no building code in the world is retroactive," the report says that the greatest losses would come from two classes of structures built before 1980 under old building codes: about 16,000 "soft-story" buildings and about 1400 "non-ductile" reinforced concrete buildings. Soft-story buildings are wood-frame structures with big open spaces (usually parking or shops) on their ground floors. Apartments in these buildings are subject to rent stabilization, and they house a sizeable population. Pre-1980 concrete buildings, which aren't tied together with enough steel to withstand strong shaking, are described in the report as "among the deadliest buildings in earthquakes." All Angelenos, collectively, should care about these buildings because each one that fails can get the whole neighborhood red-tagged, sometimes for weeks. And retrofitting them for greater strength is a well-known procedure. The report contains suggested legislation that would require the owners of soft-story buildings to document them (by reporting that they have or haven't been fixed) within 1 year and fix them within 5 years, and that concrete buildings be documented within 5 years and fixed within 25 years. Somehow we must encourage the owners of these and other building types to keep improving them beyond the minimum. The report recommends a proposed five-star rating system to clarify everyone's understanding. One-star buildings would be deadly; three-star buildings meet code and would not kill you, although they may well be a total loss anyway; and five-star buildings have the most advanced designs and would likely stay usable. Such a "safety star" rating should become as widely known as the LEED "green building" ratings. The steps recommended for water and communications are no surprise. They'll be expensive, but they're good subjects for bonds and federal funding, and the work can be done with expertise and oversight. However, the recommendations for buildings will touch the general public, and the necessary costs will surely concern different parties. Can landlords make their tenants pay for the retrofits? Will businesses pay higher rents for stronger buildings? There will be efforts to issue bonds and proposals to extend loans. Settling these matters in ways everyone can accept is what politics is for. It will help to remember what's at stake. 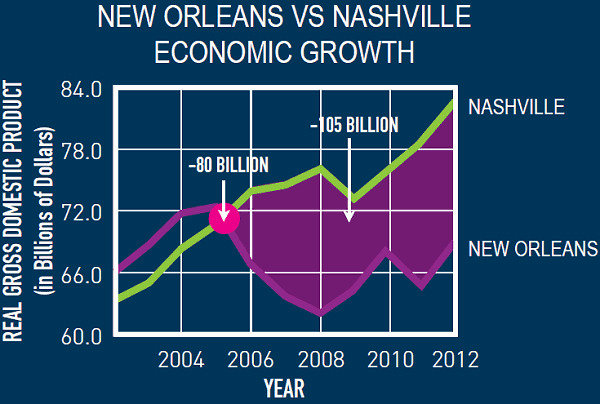 Recall what happened to New Orleans after Hurricane Katrina, its "big one," in 2005. Not only did it take an immediate $100 billion hit in damages, but over 200,000 residents moved away and haven't come back. Now consider Los Angeles, many times larger—can we risk such a fate for America's second largest city? Recall what happened to San Francisco in 1906, at the time America's sixth-largest city—the effects of its "big one" led directly to the nationwide recession and financial crisis of 1907. The program laid out in "Resilience by Design" is aimed at building resilience—flexible strength—against those kinds of threats. The report is the first step in "a new proactive science-based approach toward resilience" and will get close attention in Northern California, in Sacramento, and (one hopes) in Washington, D.C.
Los Angeles is part of the 100 Resilient Cities project. So are San Francisco, Oakland and Berkeley.